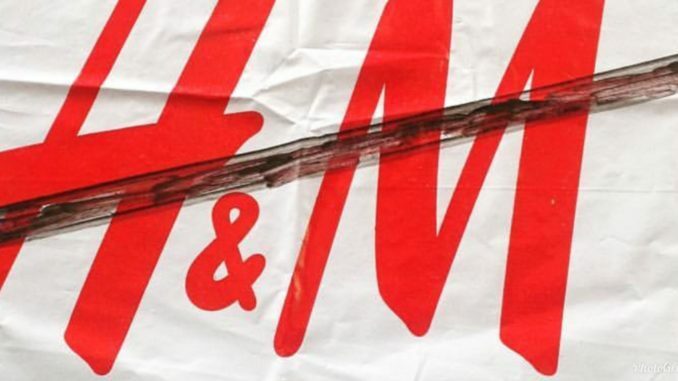 H&M recently shot an outdoor ad, using a graffiti artist’s work as the backdrop, without the artist’s knowledge or consent. 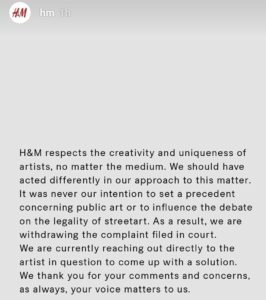 When the street artist, Jason “Revok” Williams asked to be compensated, H&M refused, saying he had no grounds because graffiti is illegal anyway. When Revok lawyered up, H&M filed a complaint in a New York court requesting graffiti and other forms of street art be exempt from copyright laws so they could use it without paying or crediting the artist. H&M received major backlash for it. Now, they’ve reneged on their court complaint and are offering to pay the street artist, which is what he asked for and what they should’ve done in the first place.